Feeling bored is the worst. But there’s no reason you should sit around feeling blah ever again. The exciting game, Awesome Space Delivery Company, has tons of exciting challenges that will keep your full attention any time you play it. Whether you want to focus on smashing down your opponents or just on beating your own score, this game will have you hooked! 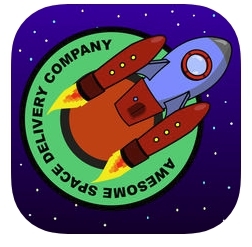 You can get the Awesome Space Delivery Company app at the iTunes store or Google Play for $1.99. 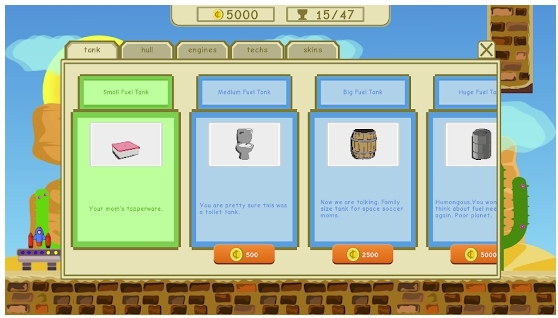 The main objective is to use your spaceship to travel to different planets to make deliveries. All you have to do is tap the two sides of your screen, which means it’s easy to get the hang of the game right from the start. Every delivery you make earns you more credits, giving you the chance to upgrade and customize your ship. Each new contract you get will either give you bonuses or penalties for all of your tasks. Plus, the more credits you earn means you can unlock new and more challenging planets to head to on your next adventure. You’ll also notice your boredom disappearing when you concentrate on beating your competitors. In endless run mode, you can compete against some truly worthy opponents, all while rising up the ranks of the national and global cross-platform leaderboards. Another great feature is the ability to upgrade your spaceship with improved features, like a new hull, fuel tank, engines, skin, or better protection options (like better radar or shields). Once you get sucked into the task of customizing your spaceship and start to see your scores go higher and higher, you’ll forget what it ever felt like to be bored! If you’re looking for really advanced graphics and complicated gameplay, the Awesome Space Delivery Company app might not be for you. However, if you like a more retro feel, you’ll definitely find yourself a fan of this game. Plus, the best part is that there are no ads within the game itself, and you never have to make in-app features to access the best parts of the app! Kick boredom to the curb with the Awesome Space Delivery Company app today!